Are You Experiencing Positive Emotions? It’s one thing to understand that compassion, gratitude and other positive states will benefit us in our interactions and another thing to actually access these experiences when we need them. Because of our natural negativity bias which we use to protect ourselves, we tend to pass over the positive states. Once we decide we want to be more grateful, like any skill, we need to develop the habit of actually being more grateful. Fortunately, we know now about the neuroplasticity of the brain and that we can learn and develop in a relatively quick time (with intention). It is not enough to meditate or think about gratitude. We need to reflect on what we are grateful for. For example, one of my executive coaching clients began to devote five minutes at the start of his day to call to mind his team members and recount what he appreciates about each person. This was not a rote counting of their strengths; rather, he allowed himself to experience real gratefulness and noticed that he felt warmth in his chest as he did so. Rick Hanson, a well-regarded neuropsychologist shares that it is not enough to experience activation of gratitude. We need to actually enjoy it and stay with it and extend the state for a few moments. He emphasizes that savoring the experience supports us in building or installing the neural pathways, so that we can develop the habit of accessing positive states that will serve us and our relationships. Make it your intention to experience gratitude. Notice your sensations and bodily experience as you do. Savor the experience in order to build the neural pathway of the emotion. Make it a practice to remind yourself of your intention. 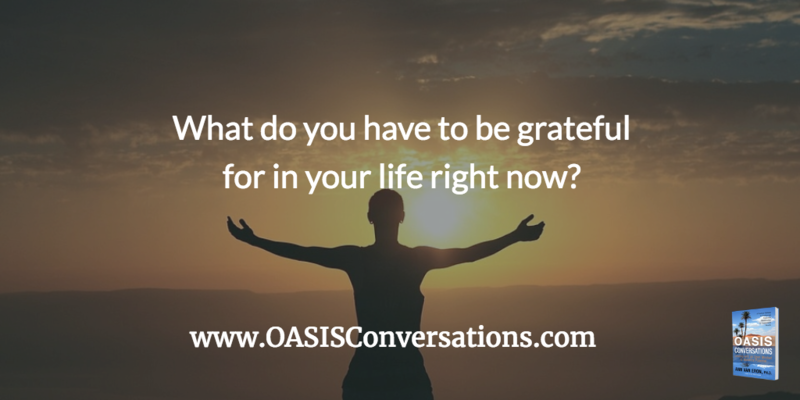 Contact us and tell us what you are presently feeling grateful for and how you practice feeling so. This entry was posted in intention, Mindfulness, Mindset, Perspective, Self Awareness by Ann Van Eron. Bookmark the permalink.